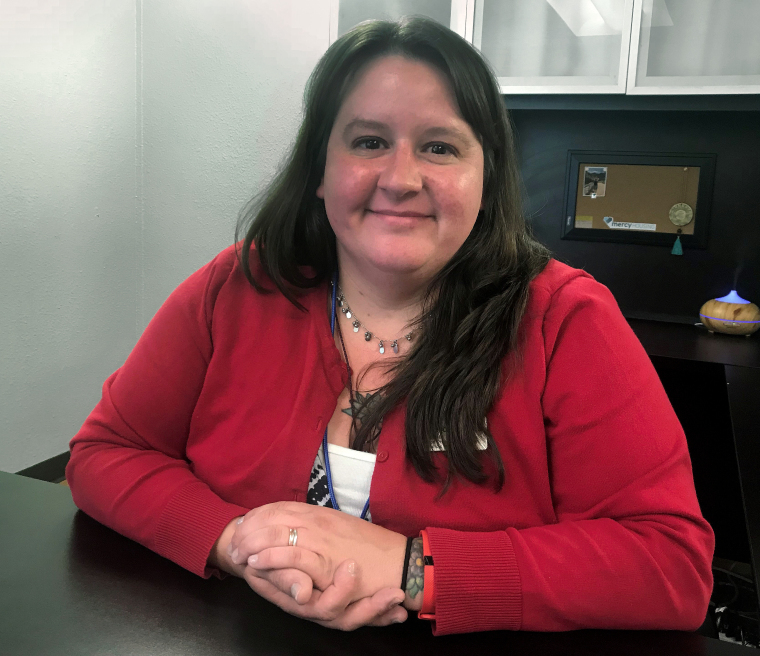 Two years ago, Maria moved to Colorado with her husband and began working for Mercy Housing as the Assistant Manager at Francis Heights Apartments in Denver. Recently, she was promoted to Senior Property Manager of this 383-apartment community. Although Maria is new to her role, she is not new to the wealth of resources Mercy Housing can provide and the importance of an affordable place to live. The oldest of six children, Maria grew up in a single parent household and moved into Marian Park in Wheaton, IL, now a Mercy Housing community, at the age of 14. Her mom, an immigrant from Argentina, worked as a certified nursing assistant at Marion Joy Hospital in Wheaton to support her large family and utilized many of the resident services available. After-school tutoring and summer camps gave the family stability in a busy household. After the passing of her mother, and with a family of her own, Maria wants to honor her mother’s memory by giving back to the Mercy Housing family. “Now it’s my turn. I want to be able to make sure they have someplace safe and providing stable, affordable housing is the first step”. Maria enjoys her role with Mercy Housing and feels grateful to give back to a community that helped shape who she is today. It has given her a foundation for both financial and emotional stability. As far as what the future holds, Maria is excited to further her role at Francis Heights and be able to give the residents the stability they need. She has set her goals high and is excited about someday moving up the ladder and becoming an area director of operations.